But if $25 per hour is the lowest wage Local 11 will accept for hotel workers, why is the union looking to hire campaign canvassers at only $15? For a union pushing an unprecedented pay scale, they don’t seem very interested in implementing it for their own staff. This isn’t the first time Local 11 hasn’t practiced what they’ve preached. A Department of Labor investigation found that from 2006-2008, the union neglected to pay almost $200,000 in overtime to their field organizers–despite the fact that Local 11 accused hotels of the same overtime violations. That’s not to mention the fact that these canvasser jobs are only temporary positions. 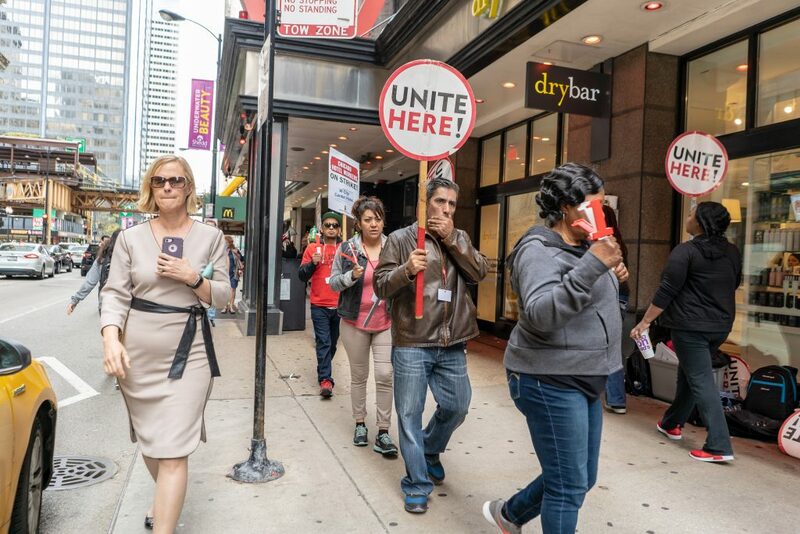 When Marriott hotels hired workers for similar temp jobs, Unite Here responded by leading strikes at hotel locations across the country. During these same strikes, the union’s list of complaints went on to include ways in which hotels were “using technology to replace workers.” It’s true that hotels, like most service industries, are looking for ways to expedite tasks through technology. However, Local 11’s most recent demands, which include not only a $25 minimum wage but additional workplace regulations and staffing restrictions, are no way to prevent the potential outsourcing of workers. As a growing number of jobs can either be outsourced to machines or streamlined through apps (such as uber drivers or food delivery services) demands like this are more likely to push hotels away from relying on the traditional hospitality employees who make up Local 11’s membership. Just remember, Local 11 staffers who are out spreading the need for a $25 minimum wage aren’t even making that themselves. Workers can expect the same insincerity from the union when it comes to the bargaining table.